I was really intrigued by the concept of this product — a foaming shower oil. But I honestly couldn’t get it to work the way I liked it. I tried both with a wash cloth and with a loofa. It did foam when I used it, but not much. And maybe I’m just spoiled with my Caress body wash (suds up so much and always smells amazing! ), but this didn’t do it for me. It cleaned me just fine and had a pleasant smell to it…but shower oils just aren’t for me. I’ll be honest and say I’m not a fan of spray lotions. All the ones I have experienced in the past don’t moisturize very well, and are so wet it takes forever to work it into my skin. However! With this product I was really pleased with the results I got. Instead of using this after I get out of the shower, I use it on the days I don’t take a shower (new Mama to a 2 month old, showers are a luxury now! 😛 ). It keeps my legs feeling moisturized and the pleasant fragrance this lotion gives makes me feel more refreshed and like I did get my shower. These two totally intrigued me and I ended up being very pleased with one, and disappointed with the other. The undereye circles is a very yellowish concealer, which I found to cover my dark circles very well. 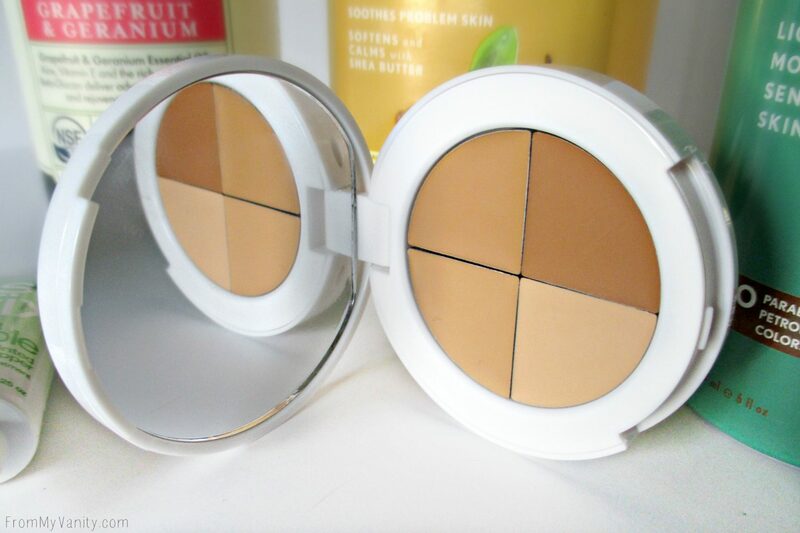 Even on the days when I wore minimal makeup, a dot of this blended underneath my eyes worked wonders. I used this a lot the first month after my baby was born! 🙂 the one for pimples is the one I didn’t like. It felt very greasy on my skin and never really set, even with powder — it slid everywhere. It also had a peculiar smell to it that I didn’t find pleasing. 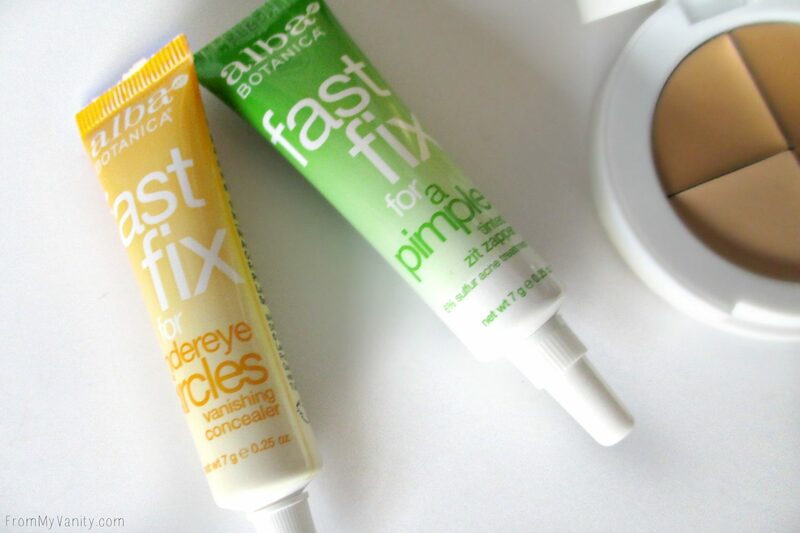 So, I would purchase the Fast Fix for Undereye Circles, but not the Fast Fix for a Pimple. I know, another body lotion — but, hey, it’s winter! It’s when we need it the most, right? Well, let me tell you if you need a new body lotion than this is the product to get! It smells amazing, feels amazing, and is very moisturizing. Also, a little goes a long way — one pump will easily do both my legs after I get out of the shower. I love that it has a pump and I can leave it on my bathroom counter and just use a little on my hands after I wash them. Because who wants dry, cracked hands?! What new products have you tried recently? I would love to hear recommendations for a new day-time moisturizer with SPF! I have combination/oily skin and am on the hunt for one I’ll love. I adore anything that is grapefruit scented! 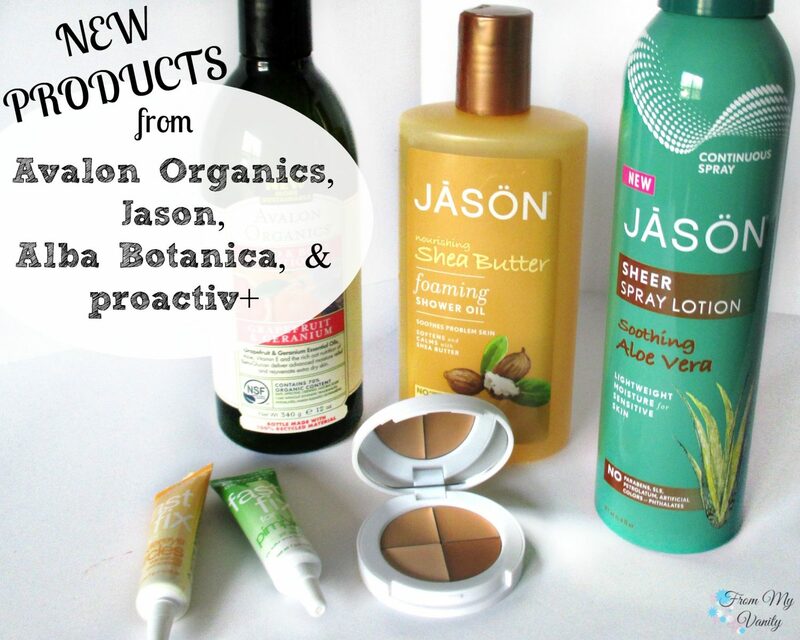 I haven’t tried Jason products yet, but I like Avalon Organics! I used to use their vitamin C skincare and it smelled heavenly. I need to try more from Avalon Organics, I like what I have tried so far 🙂 I will keep their Vitamin C Serum in mind! Great review! It seems like you find some very good products. I’d love to try the Avalon Orgaics lotion! I love grapefruit EVERYTHING!!!! Great post! 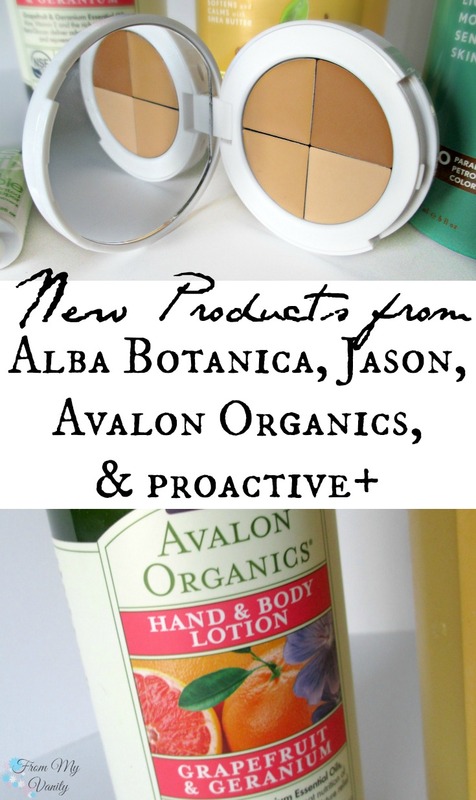 I love product by Avalon Organics. I haven’t tried Jason yet, but I plan to very soon! I’m pretty sure this is the first product from Avalon Organics that I’ve tried, I need to get more! That under eye concealer sounds amazing. I have the worst under eye circles, I’ll definitely have to try this one out! Yes, it’s a really strong color so works well at canceling out my dark circles. I’ve never tried anything from Jason products yet, but I always see people posting about them! I’ll have to add them to my must-try list! Now Avalon Organics, I love!!! 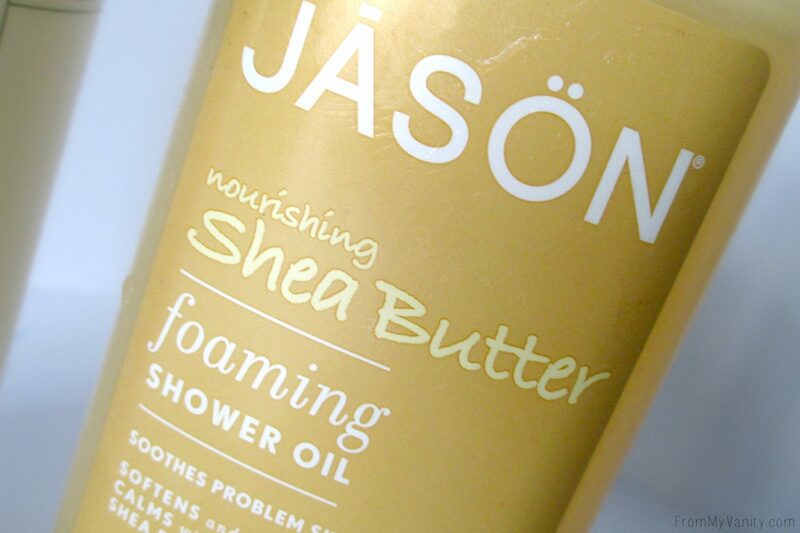 I want to try the Jason shower oil as well! I was excited at the sight of the Fast Fix but thanks for your honest views – can’t stand greasy stuff. I know, me either! I tried to make it work, but it just looked patchy and greasy on me. I love the Jason Tea Tree (original) Body Wash, and that lotion sounds amazing too! Love this! I haven’t tried this line but I have recently been trying new things – I especially love anything with aloe vera. Me to, Aloe Vera is amazing!! I’ve always been curious about spray lotions, gonna check this one out! They’re nice for when I’m in a hurry. They’re typically very light weight, so great for the summer! I hadn’t heard of almost all of these, so thanks for sharing! The Proactiv concealer sounds like something I need in my collection. I’ve been breaking out lately for some reason (all over! very bizzare) so a good blemish concealer would be nice until I get my skin under control. Glad to share new products with you! Yeah, this Proactiv was pretty neat because I could mix the colors I needed for whatever area of my face! I might have to look for the shower oil. I loved the L’Occitane shower oil…but its so spendy! 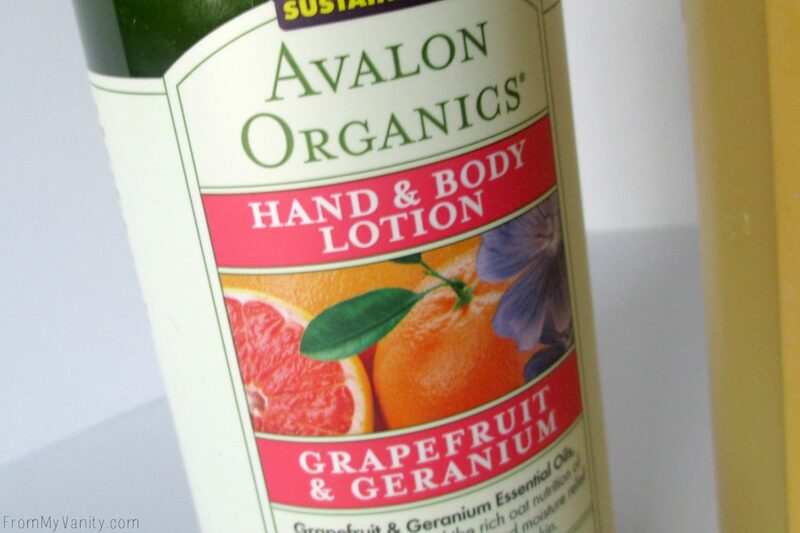 I love Avalon Organics, I will have to try the Grapefruit hand and body lotion. Enjoy it when you get it — it’s a lovely smell! 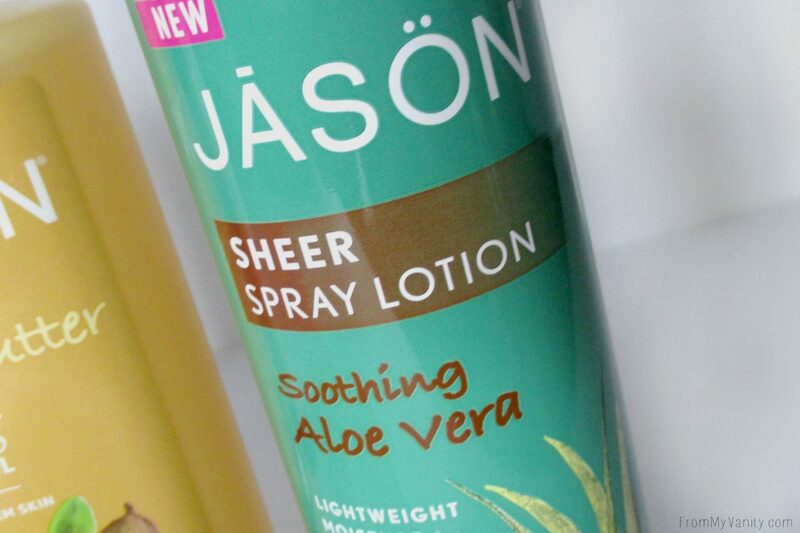 I’d try Jason Sheer Spray Lotion. If you do give it a try, I hope you like it! !